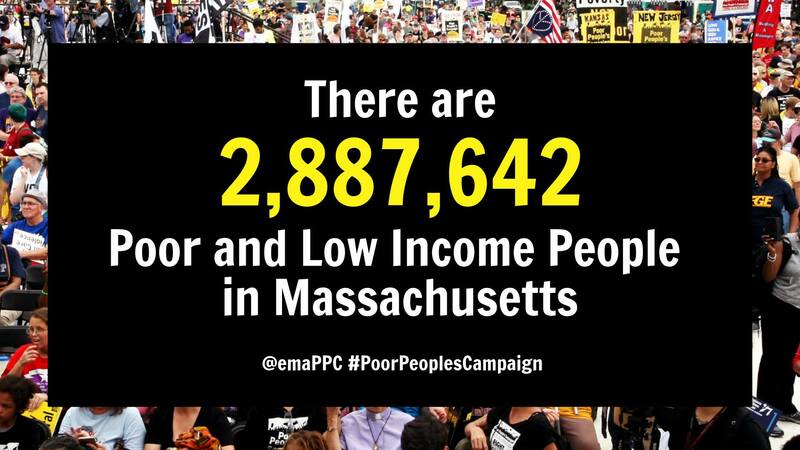 Join the Massachusetts Poor People’s Campaign: A National Call for Moral Revival on February 25th at 1pm for our news conference, rally, and demand delivery. Massachusetts will join with states around the country and Washington DC to put our legislatures on notice. We won’t be silent as the policies enacted by our elected officials continue to directly impact the poor and disenfranchised people of Massachusetts. Join us February 25th at 1pm!